Home / Blog / Health / Do People Need a Depression Intervention? Do People Need a Depression Intervention? When most people think about the concept of an intervention, they imagine it is reserved for people with serious drug or alcohol addictions that need to get help. The truth is that an intervention is a useful format for a discussion of any problem that you feel is negatively affecting your loved one’s life. In fact, some people that are struggling with mental illnesses such as depression may need other people to encourage them to get help for their problem. 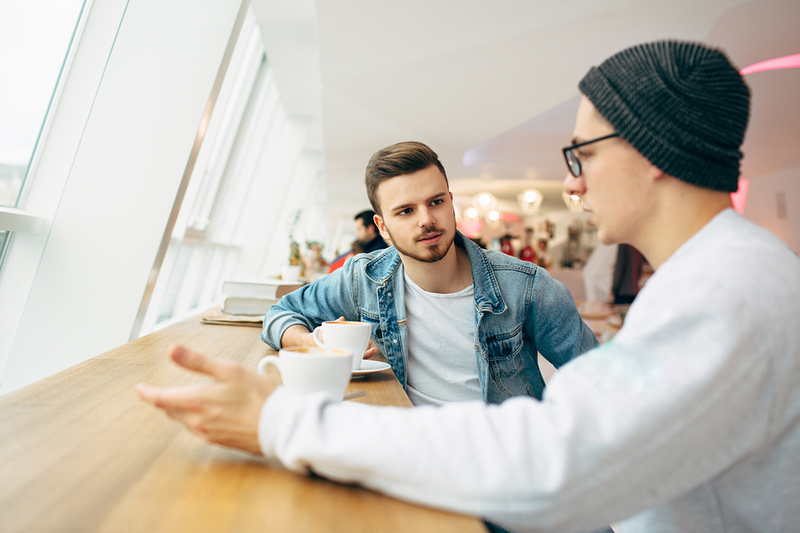 Although an intervention for a mental illness may not take place in the same confrontational style as an addiction intervention, it can still be a useful tool in communicating to a loved one who is struggling. People suffering from depression may feel that they have to live with this problem or they may not even realize how much it is affecting them and the people around them. When other people in their lives tell them that they need help they may be more likely to listen. Interventions can come in many forms and they are simply a way to help someone understand that the people in their life are concerned about them. An intervention allows a person to begin to recognize that there is an issue that they haven’t been dealing with appropriately. After intervening, ideally the person with depression will respond by entering a treatment center or seeking a regular therapist. People are dealing with depression often don’t fully realize that they have a treatable mental illness. Because of their growing symptoms they may be less self aware and unable to recognize the changes that they are going through. They may know that they feel bad but aren’t aware of how many changes it has caused in their life and how their behavior has been affected. Staging an intervention helps the depressed person start to get an outside image of what has been taking place that they may have been too absorbed in their feelings to understand. When friends broach the topic of getting help it may be an important realization for them that would be harder to reach on their own. Friends can also give them hope that they will get better through getting treatment. If your loved one is showing many of these signs or symptoms and you are worried about their health and well-being then it might be a good time to talk to other friends and family members about getting help for them. When people stage an intervention for an addict they might need a group of several people who can confront them in a way that will help them realize that they have hurt others with their actions. For a mental illness like depression, it might be more effective to have a smaller group of only two or three people so that the person doesn’t feel overwhelmed. They don’t need to be confronted so dramatically but they do need some feedback from an outside perspective of a couple of people to understand that they need help. Friends or family members that want to intervene and help a depressed person need to make sure that they are gentle, calm and compassionate when they open up a discussion. It is important the person doesn’t feel attacked or judged but understand that people are worried about them and want what’s best for their health. Expressing their concern can help them realize that their depression is a visible problem that other people can easily recognize. Setting up an intervention for a depressed person is an important task because if someone is left alone with their symptoms they are likely to get worse. Depression can quickly evolve into suicidal thoughts and attempts if it hasn’t already gotten to that point. Getting someone help for depression can literally mean that you are saving their life. When you start to see someone you love battling feelings of sadness and depression you don’t have to watch helplessly. Taking action and talking to them about getting treatment is the most positive way to cope with the situation. Look for a treatment center or a therapist that will be available at the end of the intervention for the best outcome.